2. Once you click the “Register” button you will be taken to the "Webinar Participation/Confirmation" Page. 3. On the left side of the page will be a question form. 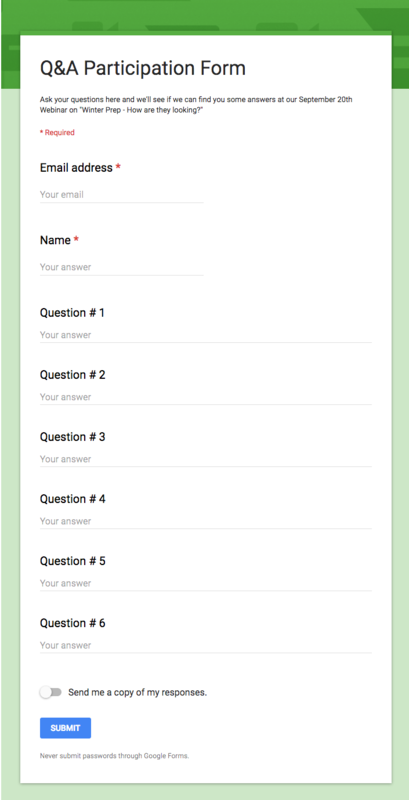 You can submit up to 6 questions, when finished simply click on “SUBMIT”. 4. On the right hand side of the question form is a button "UPLOAD PHOTOS HERE", click on this button to be taken to the photo upload area in Google Photos. Please make sure to read our photo naming protocol for photos to be uploaded so that we can identify which are your photos. click on this icon and it will allow you to search for photos on your device.